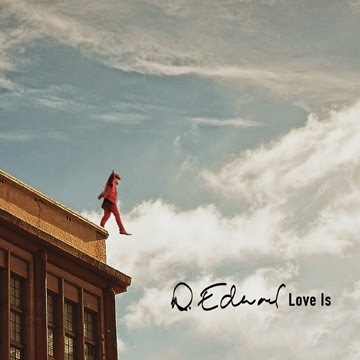 Oakland, CA – D. Edward, Singer/Songwriter and Multi-Instrumentalist, has played with numerous groups over his long and storied career, and now releases his new solo project titled 'Love Is', releasing worldwide on October 21st, 2014. 'Love Is' was two years in the making and features catchy hooks and grooves with a familiar, yet unique and modern pop and retro soul sound. D. Edward has the ability to sound different on every song yet maintain his own signature style throughout. 'Love Is' features Grammy Award Winners Pianist Laura Sullivan, Trumpet player Steffen Kuehn and Saxophonist Tony Peebles from 2013 Grammy winning band Pacific Mambo Orchestra, and Billboard Music Award Winner Leah Tysse. Also featured on the new album is Marlon “Wild Bill” Curry, Percussionist for R&B hit-maker Kem, Bassist Eric EQ Young, who the legendary Larry Graham calls his direct Bass legacy, and Ben Reyes, who recorded on Bobby Brown’s multi-platinum 'Don’t Be Cruel' album. Love Is was recorded at Chungo Boogie Music Studio in Oakland, CA, and at the legendary Fantasy Studios in Berkeley, CA. Grammy Award winning engineer Michael Starita mixed the entire album at Green Day’s Jingletown Studios in Oakland, California. The album will be released on D. Edward’s own 10th and Clay Records.